Garage Sale Mysteries Collection 2 DVD from DVDLand. Jennifer Shannon has a gift for finding rare treasures hidden in garage sales that she can resell at her consignment store, Rags to Riches. But her keen eye for finding valuables also gets her involved in the criminal investigations that happen at the very second-hand sales she frequents. This thrilling second DVD collection features three more movies from the hit Hallmark crime/mystery series that has captured fans all over the world. 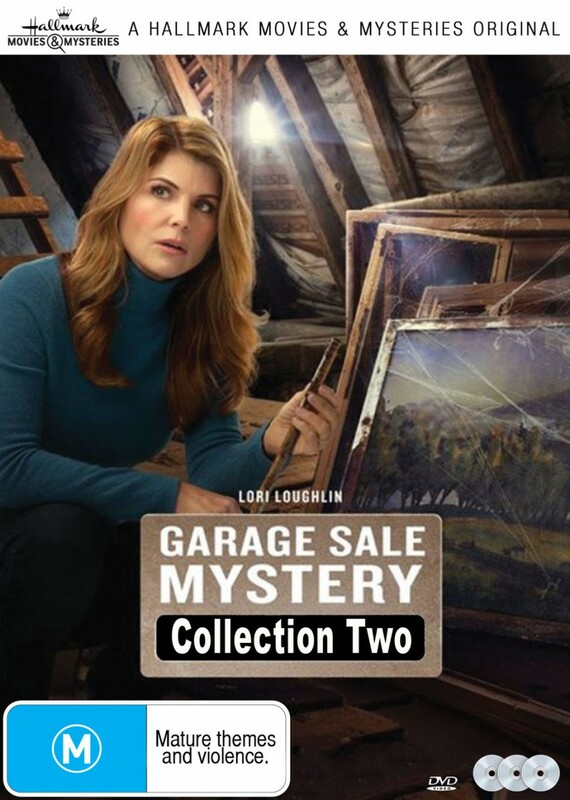 Antiques guru Jennifer Shannon (Lori Loughlin) investigates a murder after an old college friend becomes the prime suspect. Antiques expert Jennifer Shannon thinks two clues found at the scene of a murder are really clues from a mystery novel. While setting up a charity garage sale Jennifer Shannon discovers a body in the attic of a nearby home. Using her eye for detail, as well as her experience with antiques and murder, Jennifer puts together clues that help catch a killer. Click the button below to add the Garage Sale Mystery - Collection 2 to your wish list.